Providing you the best range of diesel flow meter, diesel fuel flow meter, elocromagnetic flow meter, electromagnetic water flow meter, diesel flowmeter and fuel flow meter with effective & timely delivery. We offer superior quality Diesel Fuel Flowmeter for our customers. These meters are most suitable for diesel, kerosene, petrol & MTO. Based on latest technologies, these are in conformance with various national quality standards. 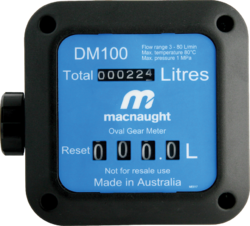 Macnaught DM100 Positive Displacement Fuel Meter.The Macnaught DM100 fuel meter has incorporated the oval rotor principal into its design. This has proven to be a highly reliable and highly accurate method of measuring flow, providing exceptional repeatability and high accuracy.The low pressure drop through the meter makes the meter ideally suited for use in gravity applications or with the Macnaught range of electric fuel pumps.Macnaught manufacture a full range of pumps and accessories to suit most of you fluid transfer needs oil, please consult your local Macnaught reseller for more information. 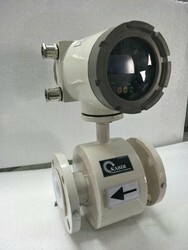 We have introduced Series SROAT which is offering large sized Electromagnetic Flow Meter. If you want the best flow meter then you got the best destination. 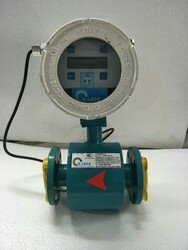 Flow Meter is designed for non-commercial use only. It is used for diesel fuel, gasoline, kerosene. These flow meters are reliable, inexpensive, easy to install and simple to calibrate in the workplace. it has the advantage of large, easy to read numbers, quick reset knob, flexible flow ports can be positioned vertically or horizontally. The easy reset register indicates product use up to 999.9. We have carved a niche for ourselves by providing our clients with a qualitative array of Fuel Flow Meter. The offered flow meter is manufactured with high-grade raw material and contemporary technology in synchronization with the set standards. 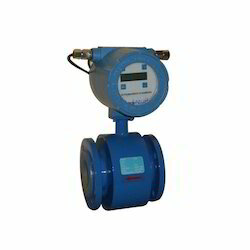 Our range of flow meters is high on demand among patrons due to its embellished features. 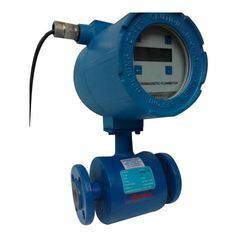 Electromagnetic flow meter can realize local indication and output electrical current signal of 4-20mA which can be used to record, adjust and control. Electromagnetic flow meters are widely used in industrial sectors such as chemical industry, environmental protection, metallurgy, pharmaceutical, paper making, water supply and removal etc.Besides measuring flow of general conductive liquid electromagnetic flow meter can measure flow of liquid-solid mixed fluid, high-viscosity fluid and salt, strong acid and strong alkali.Series smart electromagnetic flow meters consist of sensor and smart signal transducer. In terms of integral type electromagnetic flow meters, transducer and sensor directly assembles as a whole and can not be dissociated. It is usually used at the scene where the environmental situation is good. To remote type electromagnetic flow meters transducer composes a product through a special electric cable and sensor. The sensor is installed at the scene and the transducer is installed in the place where the conditions are good. It is usually used at the scene where the environmental situation is poor, such as underground wells, high temperature and the place where people can not reach. 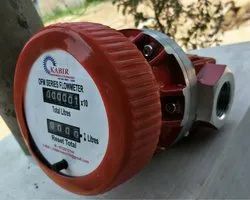 “KABIR” make versatile Electromagnetic flow meter is ideal for conductive liquids such as Raw Water, Chilled water, effluents, Potable water etc. Using time proven electromagnetic flow metering principle, the meter achieves a flow meter for pipes from 15mm to 600mm. Since there are no moving parts, the flow meter gives years of maintenance free service. “KABIR” flow-head can be supplied in Teflon lining or Hard Rubber lining is available with all the features required in a field mounted water metering equipment. These include - weatherproof enclosure, communication options, RTC with data logging with printer option and 4 to 20 mA isolated Flow signal transmission option for flow pattern recording. The converter is available as field mounted-IP65 protection category. GSM modem interface can also be supplied as an optional add-on feature. The operating principle of Magnetic flow meters is based upon Faraday's Law of electromagnetic induction, “It state that a voltage will be induced in a conductor moving through a magnetic field”. The magnitude of the induced voltage E is directly proportional to the velocity of the conductor width D, and the strength of the magnetic field B. Liquid acts as a conductor as it flows through pipes. 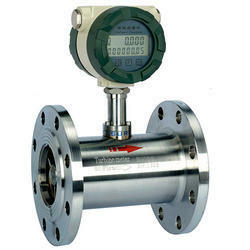 These Flowmeters find varied applications where the flowing medium is difficult to handle. Effluent Treatment Plant, Sewage Treatment Plant, Water supply Schemes, Pulp and Papers, Sugar industries and Distilleries, Steel and Aluminium, Chemical / Pharmaceuticals, Food, and Drugs etc. Tolerates High percentage of suspended solids Sludge, slurries, minerals, paper, sewage – flows with the high level of solids which can not be measured other type of meters. Obstruction fewer measurements Nothing projects into the flow stream, no head loss, no parts to maintain. Suitable for corrosive liquid Acids, caustic and corrosive additives are isolated from the meter pipe by inert linings and compatible electrodes. Suitable for all types of electrically conductive liquids. Liquid where conductivity is of sufficient level to induce measurable. 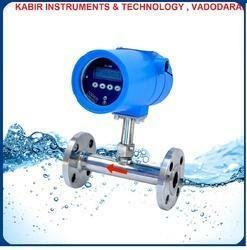 KABIR make Turbine Flow Meter is ideal for liquids such as Raw Water, Chilled water, effluents, Potable water etc. Using time proven electromagnetic flow metering principle, the meter achieves a flow meter for pipes from 15mm to 600mm. Since there are no moving parts, the flow meter gives years of maintenance free service. KABIR flow-head can be supplied in S.S.316/PP is available with all the features required in a field mounted water metering equipments. These include - weather proof enclosure, communication options, RTC with data logging with printer option and 4 to 20 mA isolated Flow signal transmission option for flow pattern recording. The converter is available as field mounted-IP65 protection category. GSM modem interface can also be supplied as an optional add-on feature. 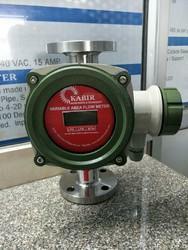 “KABIR” are 2 wire Turbine Flow Meter specially used for various industrial application. The flowing media engages a vaned rotor causing it to rotate at an angular velocity proportional to flow rate. The Pick-up coil senses the spinning motion of the rotor inside the pipe & converts it into a pulsating electrical signal. Summation of the pulsating electrical signal is directly related to the total flow. The frequency is linearly proportional to flow rate which is converted to electrical signed 4-20mA. “KABIR” flow-head can be supplied in Teflon lining or Hard Rubber lining is available with all the features required in a field mounted water metering equipments. These include - weather proof enclosure, communication options, RTC with data logging with printer option and 4 to 20 mA isolated Flow signal transmission option for flow pattern recording. The converter is available as field mounted-IP65 protection category. GSM modem interface can also be supplied as an optional add-on feature. The magnitude of the induced voltage E is directly proportional to the velocity of the conductor width D, and the strength of the magnetic field B. Liquid acts as a conductor as it flows through pipes. This Flowmeters find varied applications where the flowing medium is difficult to handle. Major advantage of these flowmeters are : Zero pressure drop, No moving part and highest accuracy level at most affordable cost. Effluent Treatment plant, Sewage Treatment plant, Water supply Schemes, Pulp and Papers, Sugar industries and Distilleries, Steel and Aluminium, Chemical / Pharmaceuticals, Food and Drugs etc. Tolerates High percentage of suspended solids Sludge, slurries, minerals, paper, sewage – flows with high level of solids which can not be measured other type of meters. Obstruction less measurements Nothing projects into the flow stream, no head loss, no parts to maintain.